Tata got the 'Horizonext' ball rolling with the introduction of the Nano emax over a month back, and if you are a taxi fleet operator, here's some good news for you - Tata now continues its campaign with the launch of the bi-fuel variants of the Indica and the Indigo. 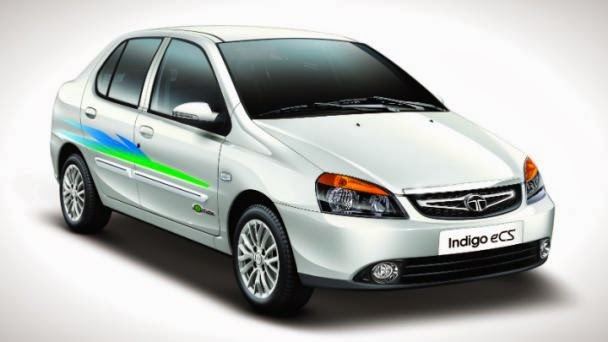 Labelled the Indica/Indigo emax, both cars are equipped with a CNG kit which, according to ARAI test figures, helps the Indigo do 24.6km per kilo of gas, and the Indica pull 23.7km per kg. Tanked up, the Indigo's CNG kit blesses it with an additional range of 230 kilometres, over and above the 650 available on a full tank of petrol. Similarly, the Indica too gets an extended range of 230 kilometres with a full tank of CNG. And yes, like in the Nano emax, these too get leak detection sensors for added safety. At the launch of the new CNG variants, Mr. Ankush Arora, Sr. Vice President, Passenger Vehicle Business Unit (Commercial), Tata Motors Ltd., said, "CNG is gaining momentum in the Indian automobile market and we are happy to announce expansion of our CNG portfolio. The introduction of the new variants comes as an essential step that underlines our commitment to be a sustainable automotive player." Both cars are available in two variants each - the Indica GLS costs Rs 3.99 lakh, while the GLX is priced at Rs 4.26 lakh. The Indigo GLS retails at Rs 4.99 lakh, and the range tops out at Rs 5.27 lakh for the GLX (all prices ex-showroom, Delhi). The ideal option for cabbies, or is diesel still the way to go?